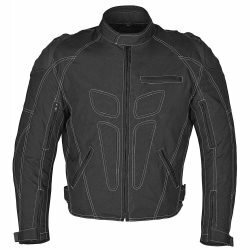 The best textile motorcycle jackets should be protective, breathable, weatherproof, versatile and above all typically less expensive than comparable leather motorcycle jackets. 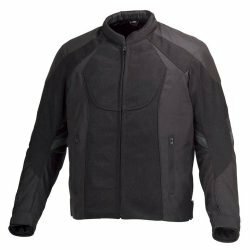 WICKED STOCK’S textile motorcycle jackets have all that plus these come pre-installed with class leading CE protection for elbows, shoulders and back. 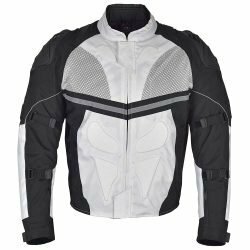 Most of our textile motorcycle jackets are made of high-density ballistic nylon (e.g., 600 – 1000 Denier Cordura), Nylon or blends of various Polyester fabrics. These fabrics are known for their durability and resistance to abrasions, tears and scuffs. 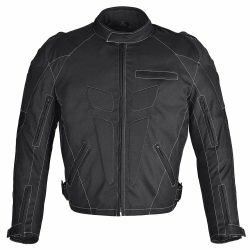 At wickedstock.com you will find the most versatile collection of textile motorcycle jackets online. 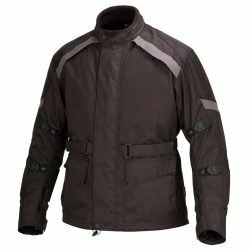 Most of our textile motorcycle jackets will work as four season motorcycle jackets. These have multiple liners that can be used depending on local weather conditions. 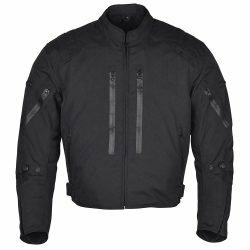 All of the textile motorcycle jackets come with a removable thermal liner to keep you warm and comfortable when temperatures drop. 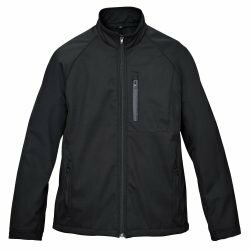 Many of these textile jackets have either built-in or removable waterproof liner that is also breathable. Some of these waterproof liners can be used as a standalone rain jacket when needed. Our textile motorcycle jackets have generous venting to flow air and keep your body temperature regulated during scorching summer rides. Many of these jackets come with enough reflective and Hi-Viz materials to make you conspicuous during bad visibility conditions. 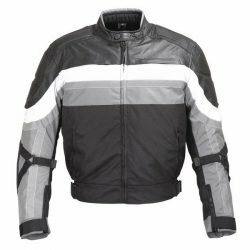 You can look up Hi-Viz Motorcycle Jackets at wickedstock.com to pick a Hi-Viz textile jacket that suits your style. 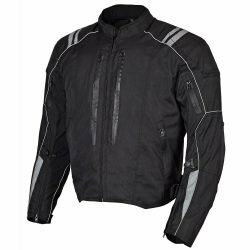 Consistent with our commitment to rider safety most of these textile motorcycle jackets have reinforced fabric around the high impact areas. However, it is pointless to have high abrasion resistant fabric if the stitching fails and the jacket bursts apart when you hit the road. Quality of construction is critical and therefore, you will find double stitched seams in the impact zones of our textile motorcycle jackets. If you are having a hard time selecting a jacket best suited for your riding style and budget, just give us a call and we will walk you through the selection and sizing process.